'Cincinnatus in Retirement', by James Gillray (1782). This cartoon satirizes Burke's Irish Catholic background. The 1760s saw the emergence of a militant agrarian secret society in Ireland called the Whiteboys, who would often dress up at night in white sheets and terrorize local Protestant landowners, destroying property and livestock. They emerged, in part, to protest the collection of tithes supporting the Church of Ireland as well as to protest new restrictions on grazing rights relating to what had previously been common pasturage. Their politics were deeply sectarian and both local and national authorities were anxious to quash the ongoing disturbances. Catherine Burke, or Cáit de Búrca, was the sister of Father Nicholas Sheehy (1728-1766), a Catholic priest whose parish was one of the most active in terms of Whiteboy activities. 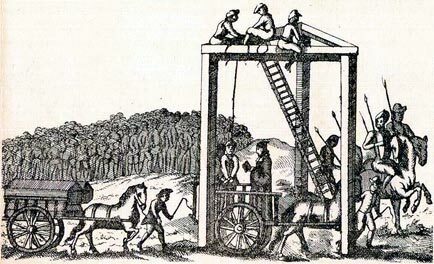 It is in this context that he was suspected of aiding and abetting the Whiteboys and was eventually convicted of murder and then hanged, drawn and quartered, along with several others, in 1766 in Clonmel, County Tipperary. De Búrca is best known today for the caoineadh, or lament, she composed upon her brother’s death. The execution of Father Sheehy sent shockwaves throughout Gaelic Ireland and de Búrca’s poem is just one of several contemporaneous keens or elegies composed on his death. But what interests me here is the curious textual history of the poem. In all likelihood, the poem was composed orally, as it goes unrecorded in any surviving eighteenth- or nineteenth-century manuscript. Though composed sometime in the second half of the eighteenth century, the earliest complete version of the poem, in Irish, was first published in 1956. This version, published in the Irish-language journal Feasta, came from Captain James O’Neill, a retired police officer from Galway. 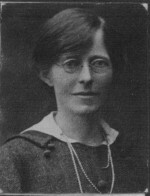 O’Neill had first recorded the poem from oral recitation by his wife, Áine Ní Fhoghludha (1880-1932), who had probably memorized the poem while growing up in the Irish-speaking district of Rinn, County Waterford. While it might be tempting to imagine that the poem was the work of Ní Fhoghludha, who was herself a published Irish-language poet, eleven lines from the poem were separately recorded from oral recitation by folklorists working in county Tipperary. Even more curious, though, is the fact that the first recorded version of de Búrca’s poem was a loose English-language translation printed in 1846 in The Limerick Reporter. This version was subsequently reprinted, with minor variations, in The Fate of Father Sheehy: A Tale of Tipperary in the Olden Time (1863). While the Limerick Reporter edition merely attributes the poem to Catherine Burke, The Fate of Father Sheehy tells us that the poem was translated from the Irish and sent to the author of the book from a Sheehy relative then living in Worcester, Massachusetts. Though we lack documentary evidence supporting such a claim, New England cities such as Boston, Springfield and Hartford supported communities of Irish-speaking immigrants into the early twentieth century. In any case, Cáit de Búrca’s poem on her brother, Father Nicholas Sheehy, is one of many examples of Irish-language poems by women for which its textual history lies outside the norm for either Irish-language poetry by men, or indeed, for women’s writing in English. In this instance, we have an eighteenth-century poem that began in the oral tradition in Irish, was first published in print, not manuscript, in English translation, and went unrecorded in Irish until the second half of the twentieth century. ‘Cincinnatus in Retirement’, by James Gillray (1782). This cartoon satirizes Burke’s Irish Catholic background. Meidhbhín Ní Úrdail, ‘An Elegy on the Death of Fr Nicholas Sheehy’, Zeitschrift für celtische Philologie 60 (2013): 151–174. Stiofán Ó Cadhla, ‘Captaen na bhFear mBán: Father Nicholas Sheehy in history / folklore’, Tipperary Historical Journal (2002): 69-89. Dáithí Ó hÓgáin (ed. ), Duanaire Thiobraid Árann. Dublin: An Clóchomhar, 1981.